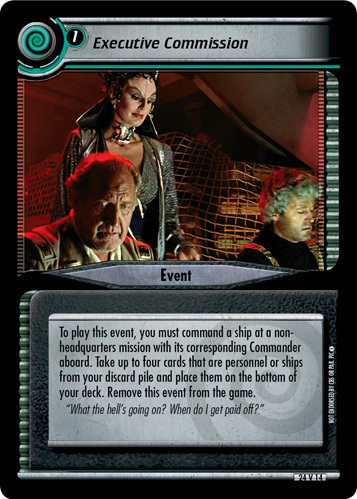 To play this event, you must command a ship at a non-headquarters mission with its corresponding Commander aboard. 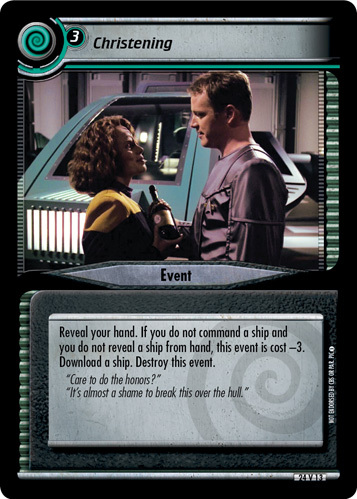 Take up to four cards that are personnel or ships from your discard pile and place them on the bottom of your deck. 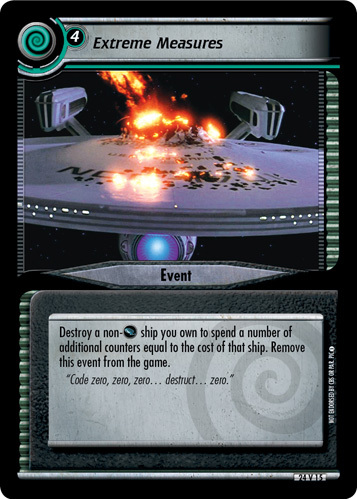 Remove this event from the game. "What the hell's going on? When do I get paid off?"